The PBOX X3 invites you to enter into a new everyday life of efficiency, convenience and delight. The PBOX X3 Solar Light is ideal for Residential, Outdoor parties or events, Cottage or the Beach. 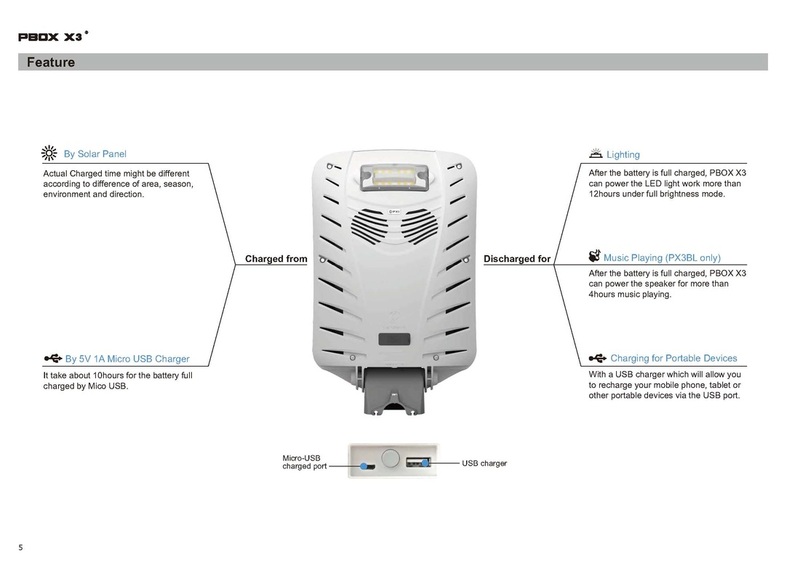 This Bluetooth controlled portable lamp provides over 400 lumens of light and stereo audio. 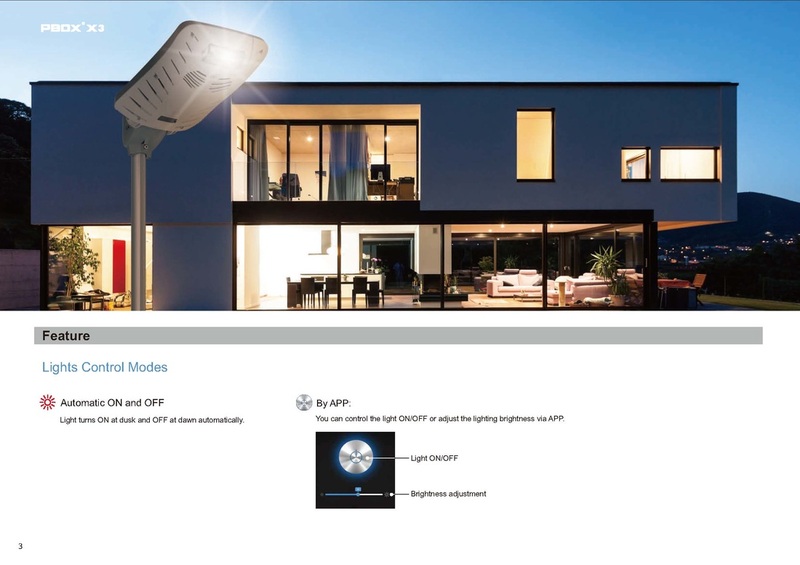 You can easily control the lamp brightness, the working mode and operation of the lamp via a free Android or OS APP on your smart phone or tablet. 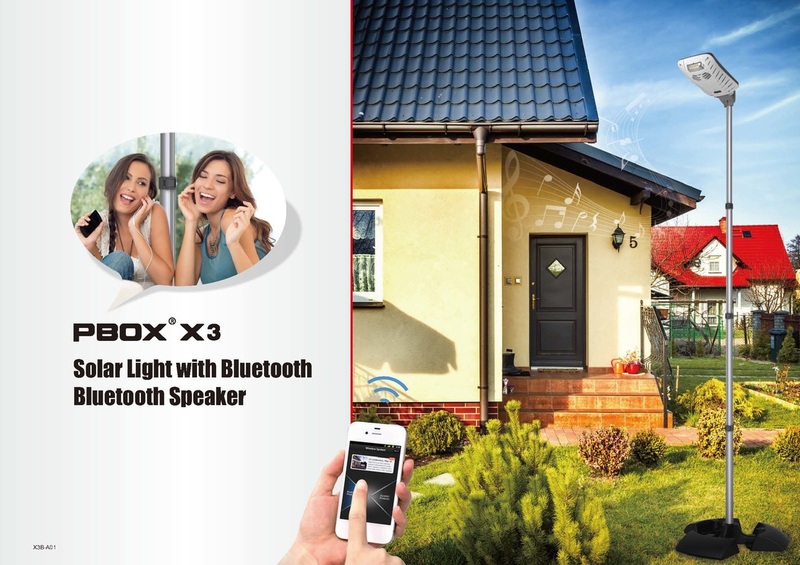 The PBOX X3 integrated Bluetooth speaker/microphone will enhance your experience with stereo speakers for any audio playback that you have loaded on your Bluetooth devise. 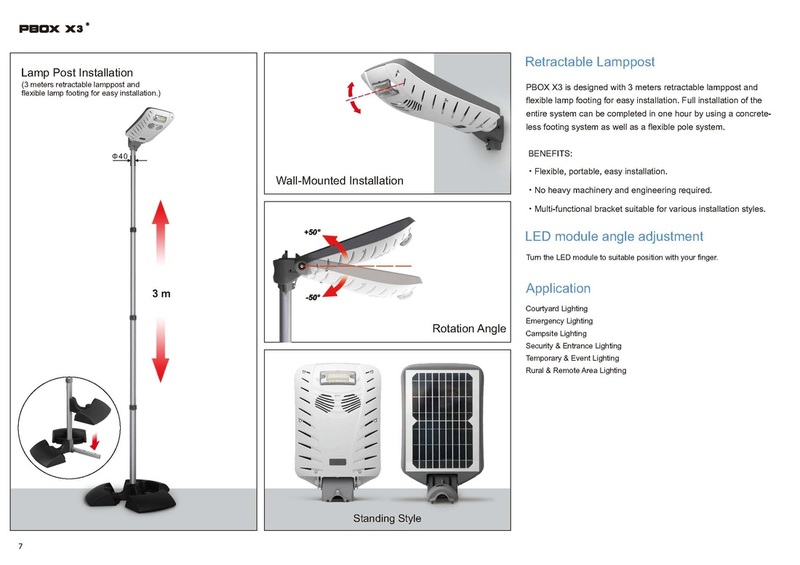 The specially designed telescoping lamp pole unit assembles in minutes and is not only easy to install, but also brings you a level of convenience. The PBOX X3 can also be charged by an AC adapter through the integrated Micro UBS In port and also used to charge your cellular phone or tablet using the USB Out port.